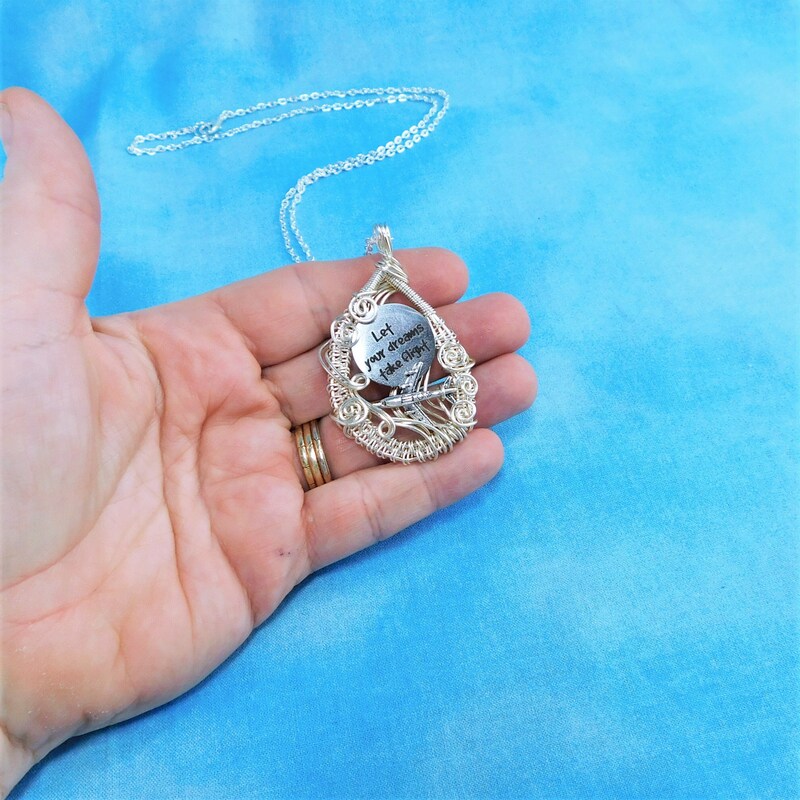 Four strands of non tarnish fine silver over copper wire are meticulously hand woven and artistically sculpted to frame an airplane climbing to great heights. 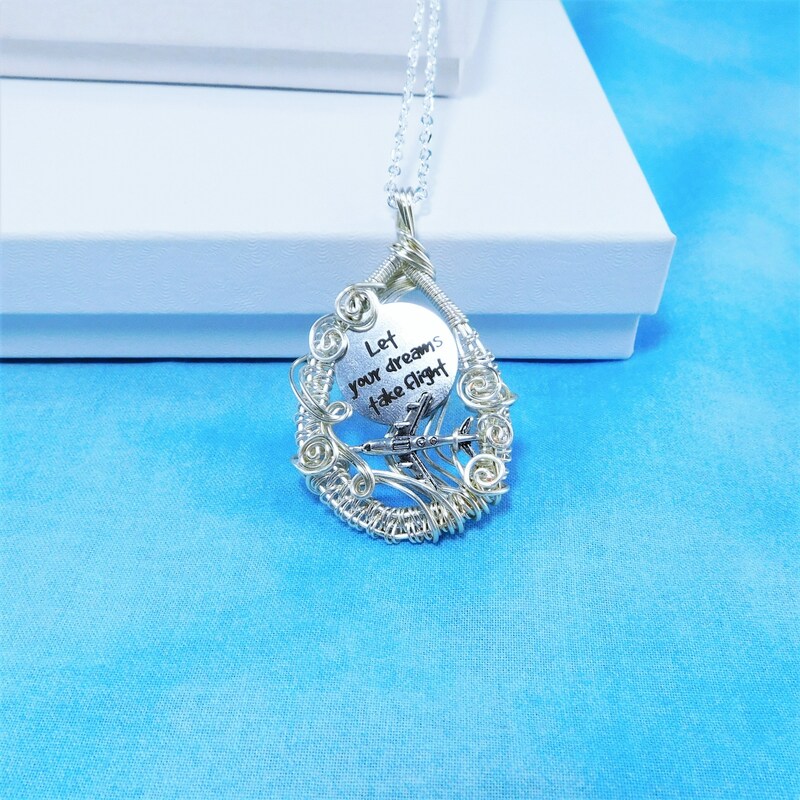 An engraved stainless steel charm encourages the wearer to "Let Your Dreams Take Flight". 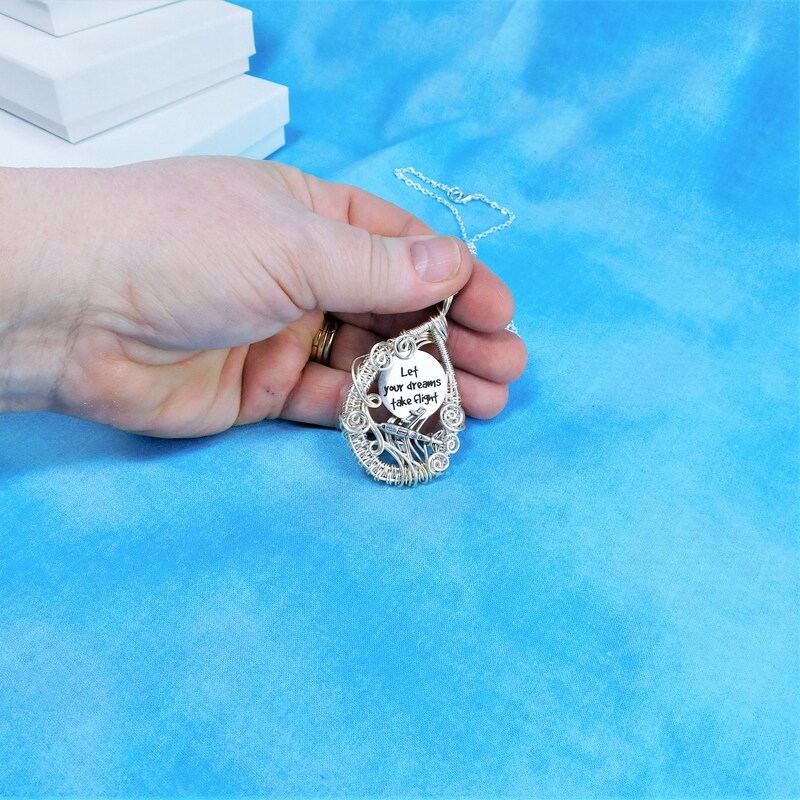 The pendant measures 1 1/2 inches by 1 1/4 inches and is perfect for the flight attendant, pilot, or any woman with an interest in aviation. 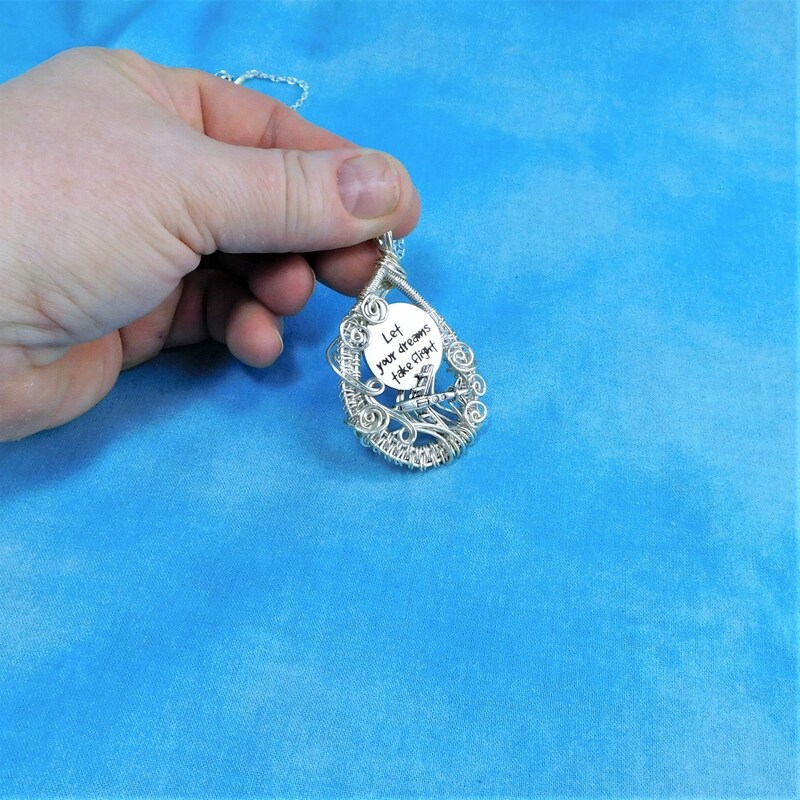 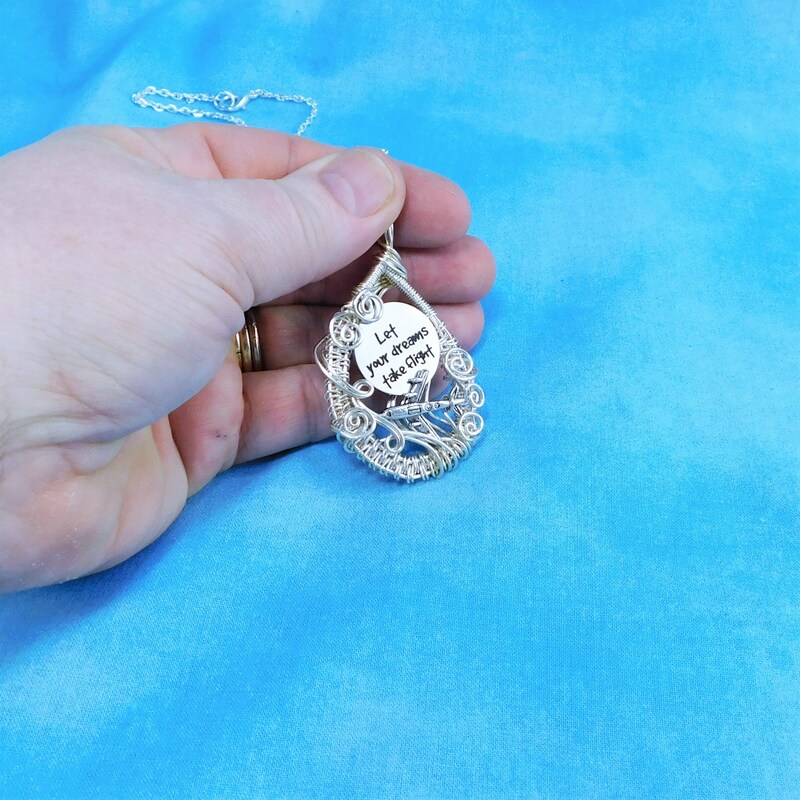 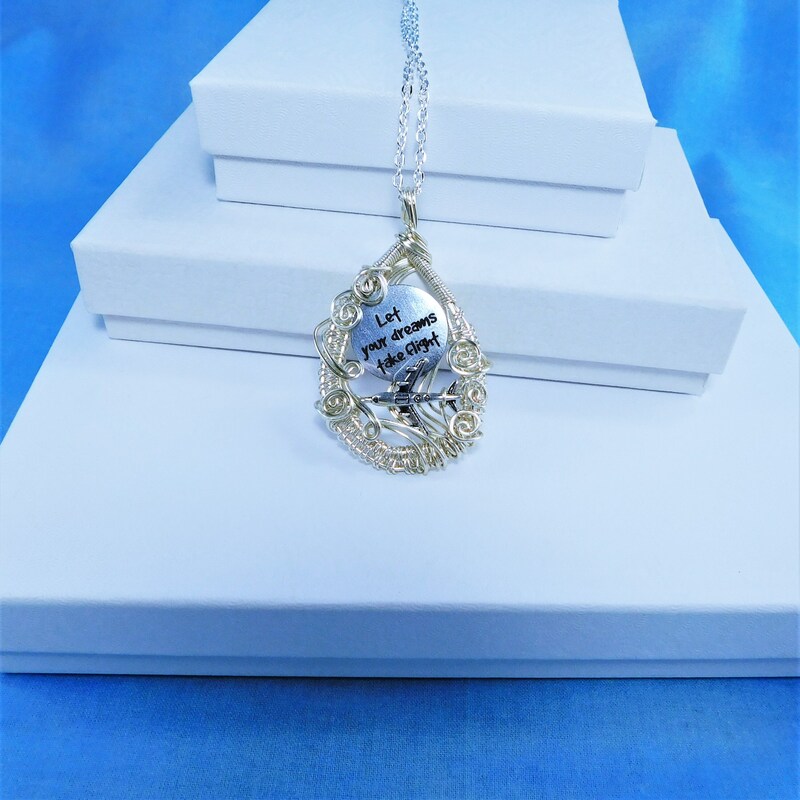 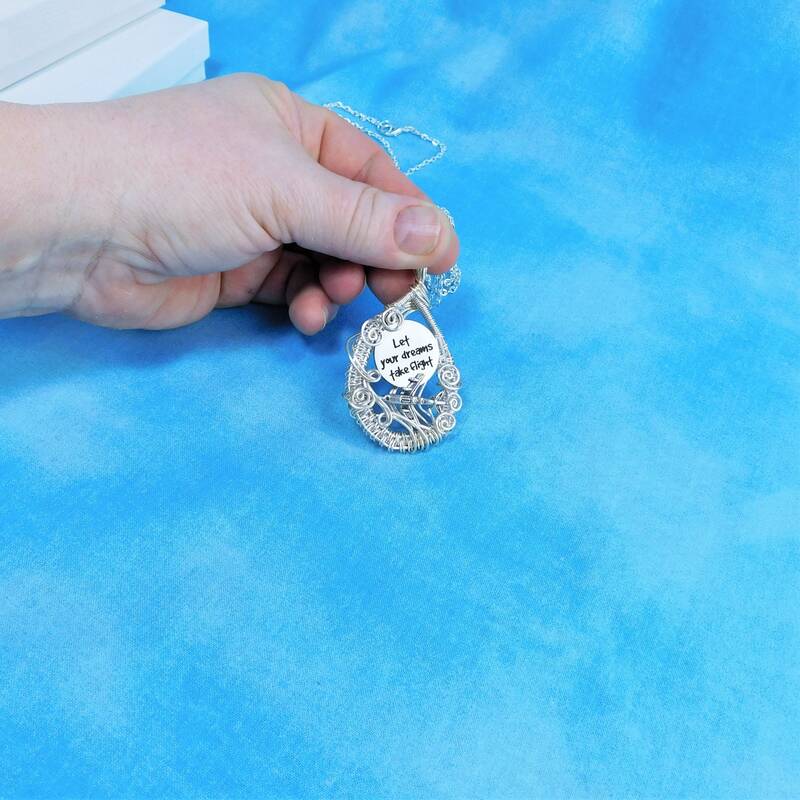 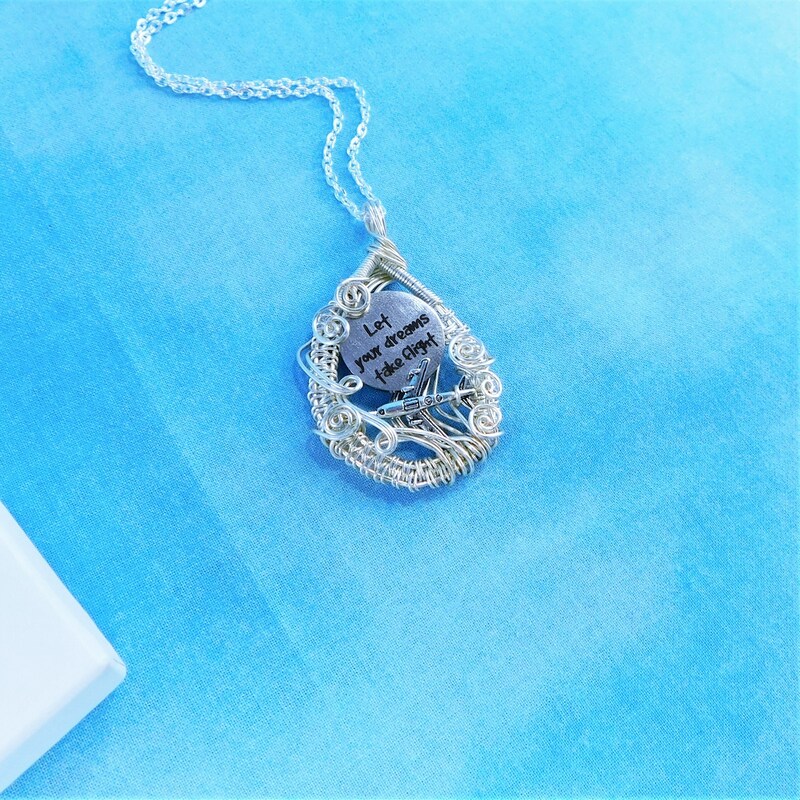 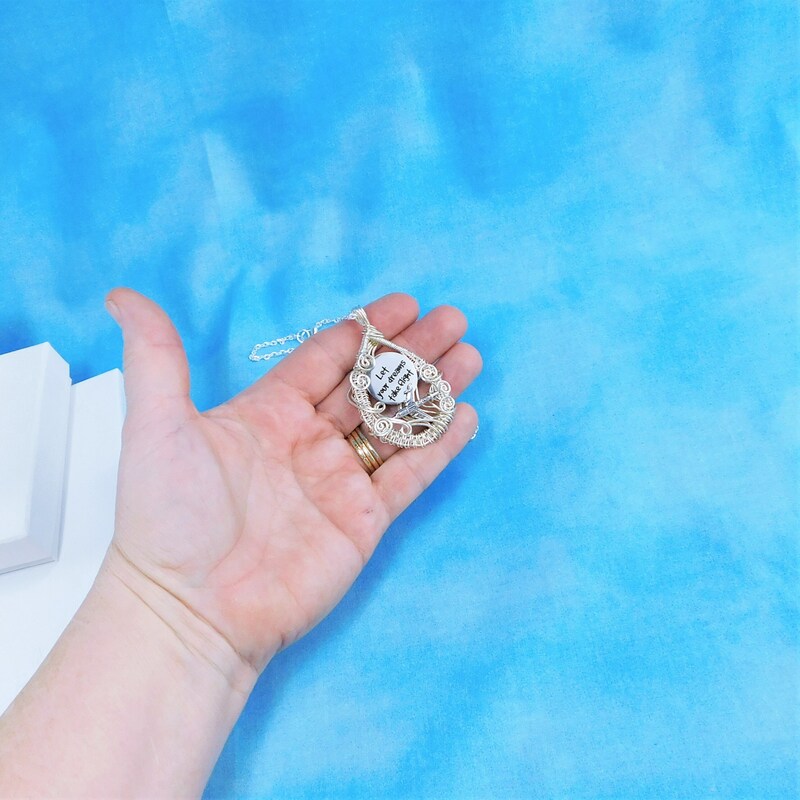 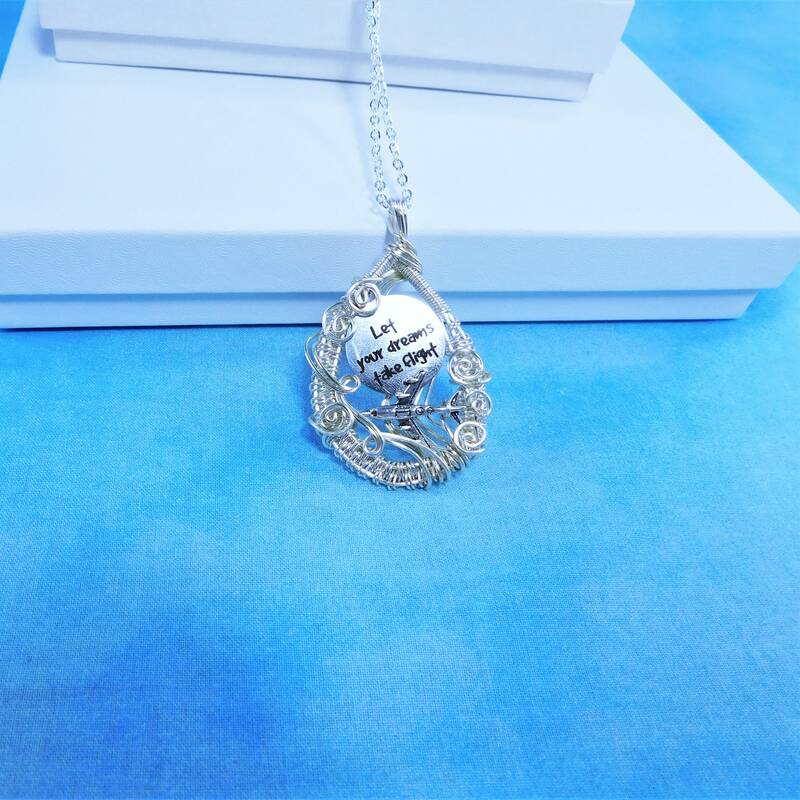 This one of a kind pendant will be enjoyed by the woman who is as unique as the accessories she wears.